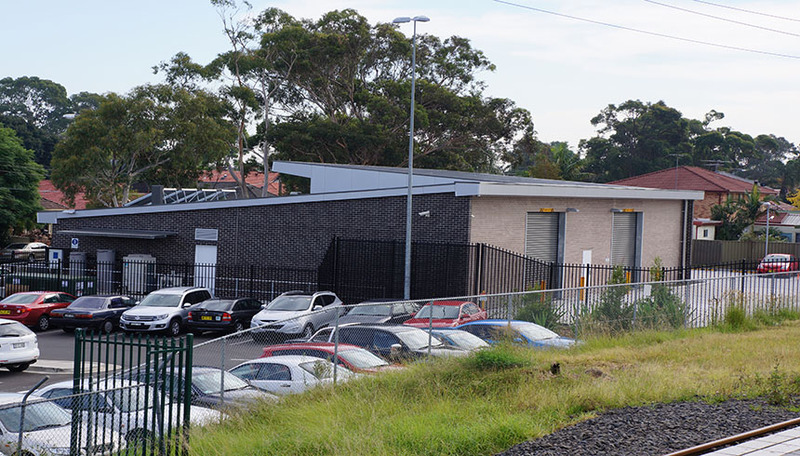 Degnan were engaged to construct a new signal depot on the north side of the East Hills Railway Station to help facilitate the Kingsgrove to Revesby Quadruplication Project. The depot was built to house signalling equipment and to provide on-site personnel office space to ensure the track was delivered in the optimal timeframe. The contract included the construction of a single level office and amenities building, dual workshop areas, landscaping and additional car parking. The location of an ethane gas pipe at the back of the depot made work challenging at times as excavation and ground works was limited. Degnan worked in conjunction with APA Group (pipe line infrastructure company) to ensure the pipe remained secure and the safety of residents, staff and the environment was guaranteed.